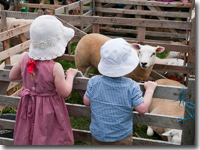 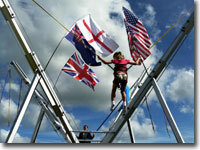 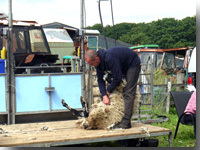 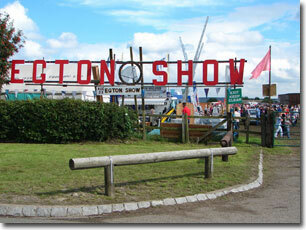 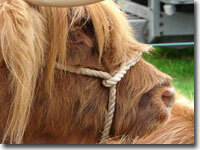 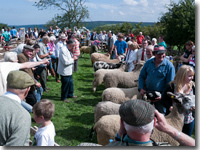 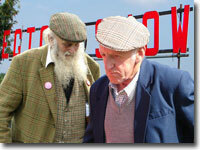 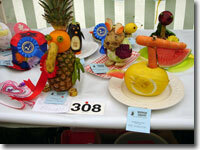 Every village has its annual village show, but the Egton Show is one of the biggest and best in the area. 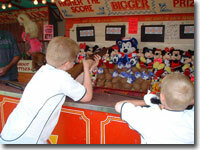 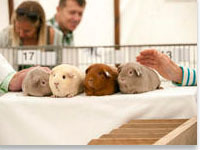 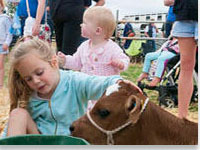 The show has exhibits of livestock, such as cows, sheep, ferrets, rabbits, hens, ducks, all of which are judged during the day. 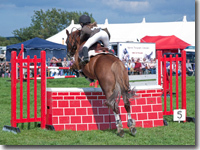 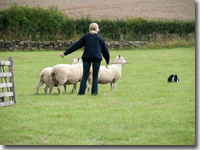 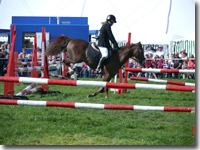 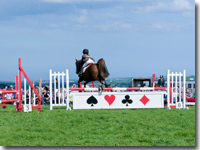 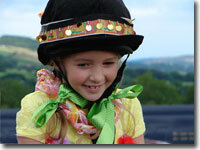 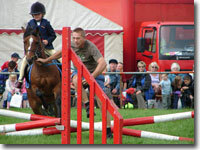 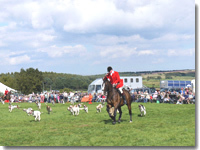 In the afternoon there is show jumping for horses and ponies, sheep dog trials and dog shows. 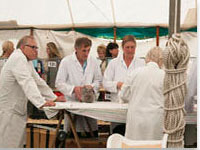 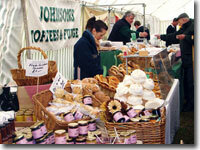 Arts and handicrafts, home made wines / jams / cakes are judged along with the vegetables in huge marquees. 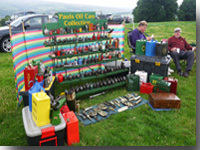 Vintage tractors and farm machinery, are on display side by side with brand new tractors and 4 WDrives being shown by the sales teams of several local garages. 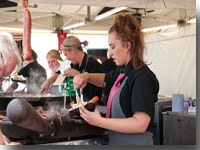 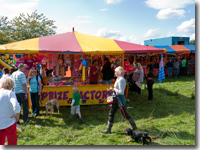 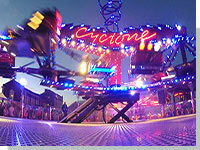 There is a children's fairground, and for older kids, a mechanical bull ride, and food and refreshments ranging from hog roasts to ale tents. 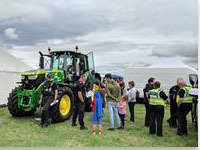 For a comprehensive list of events for 2019 - follow the link at the bottom of this page. 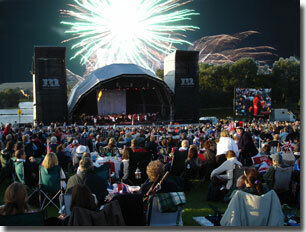 Every year, around the middle of August, Castle Howard stages the "Proms Spectacular". 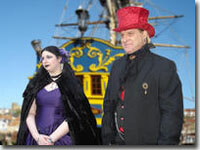 The huge stage is erected by the side of the lake, in front of the House, which makes an imposing setting for the event. 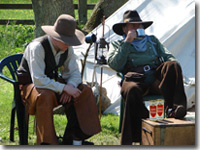 The idea is to take a picnic, and most people take picnic baskets, chairs, and rugs. 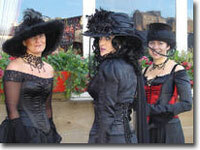 Others take tables, candelabras, champagne and smoked salmon. 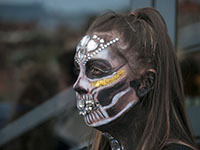 The evening begins with an opera singer, and the main performance this year, was by the English National Orchestra conducted by Jae Alexander, and tenor Wynne Evans and soprano Sarah Ryan also performed. 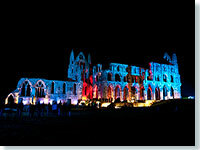 The programme included: O Sole Mio, and Puccini’s Nessun Dorma, alongside the more traditional flag waving anthems of Jerusalem, Rule Britannia and Land of Hope and Glory. 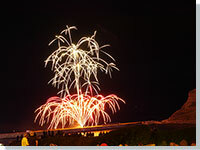 The main performance began with an aerobatic display by a World War 2 Spitfire, while the orchestra played the theme from 633 Squadron, and the Battle of Britain, and ended with a spectacular fireworks display as they played the 1812 Overture. 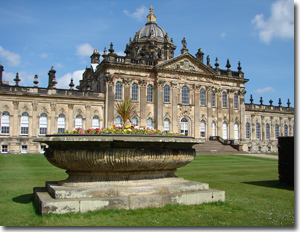 Castle Howard has been the setting for many films and TV dramas including "Brideshead", and "Brideshead Revisited", "Death Comes to Pemberley", "The Buccaneers", BBC's "Twelfth Night" and in 2016 it featured as Kensington Palace in the ITV drama "Victoria". 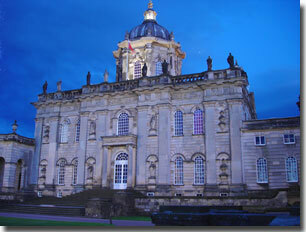 Every Christmas, the dramatic 18th century interior of Castle Howard is transformed for the festive season. 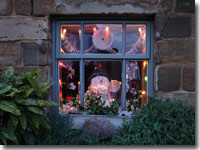 The rooms are lit by fire and candlelight, and are adorned with displays of festive twigs, traditional decorations and giant christmas trees. 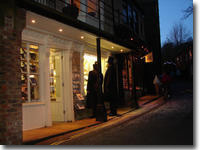 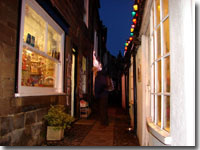 At their cafe's you can enjoy homemade seasonal soup and sandwiches, through to a traditional Christmas lunch with all the trimmings, and their deli, gift shop, and courtyard craft market, offer a great selection of Christmas gift ideas. 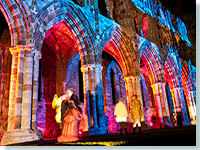 With all this, plus live musical performances daily - from jazz to gospel choirs, a visit to Castle Howard will put you in the festive spirit. 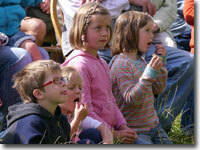 For children, there is an audience with Father Christmas every weekend. 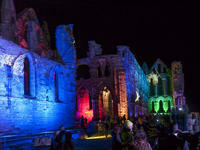 Christmas 2018 at Castle Howard will see the return of the inspirational theatrical design duo of Charlotte Lloyd Webber and Brette Gerecke, who masterminded the spectacular 2017 ‘Angels on High’ displays. 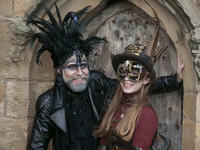 Christmas at Castle Howard 2019 runs from 16th November - 31st December. 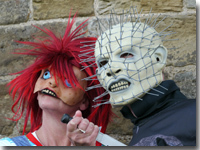 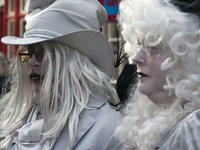 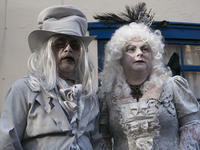 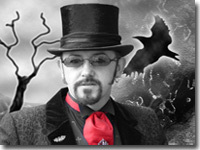 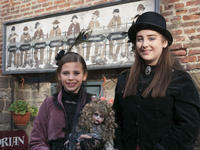 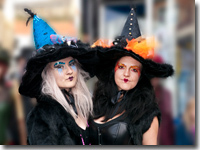 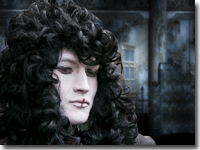 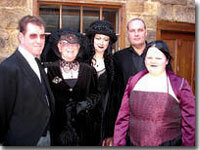 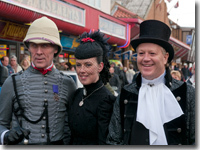 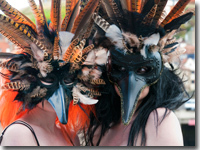 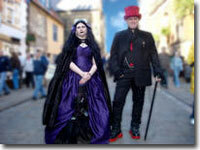 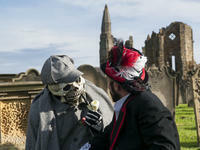 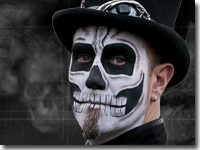 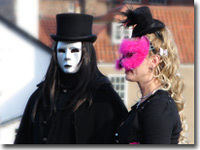 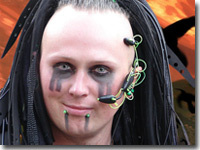 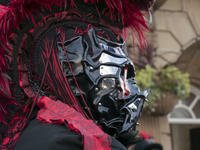 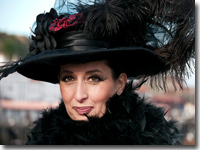 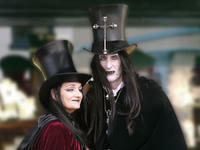 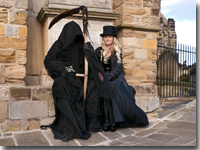 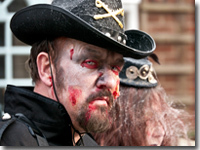 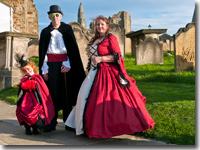 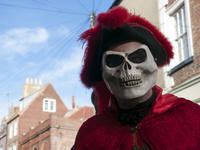 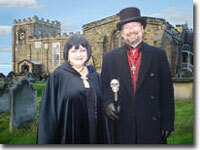 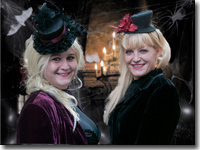 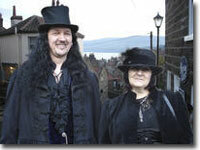 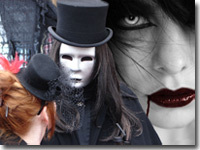 Every Halloween, Goths from all over the country, head for the annual Goth weekend in Whitby. 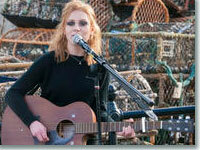 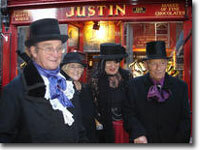 Live music events are held in the Pavillion, and the Metropole hotel. 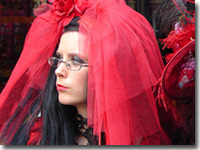 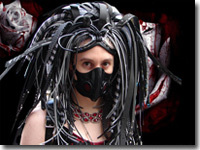 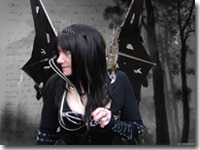 Organiser Jo Hampshire arranged the first Goth weekend over 10 years ago, when she was the only Goth in a small northern mining town, and placed an advert in a magazine for pen friends, and wanting to find somewhere to meet up. 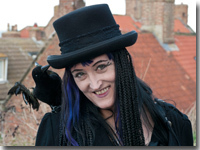 She chose Whitby because of its Dracula connections, and knew that Dracula societies already ran events in the town, and that the people of Whitby wouldn't be "freaked out" by the invasion of Goths. 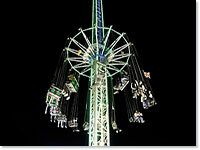 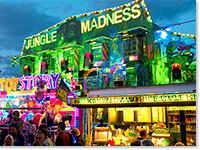 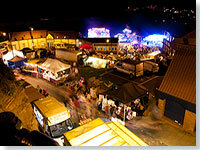 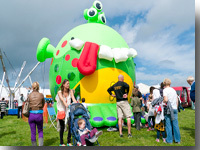 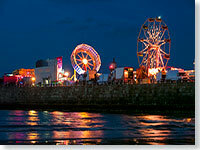 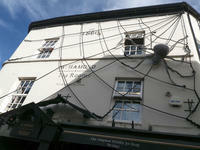 The weekend has become hugely popular, and is well worth a visit. 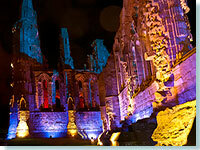 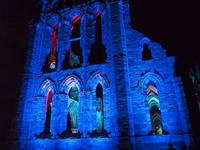 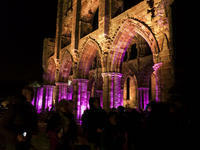 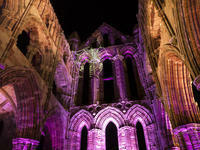 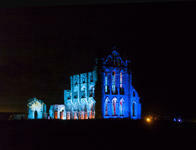 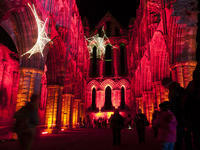 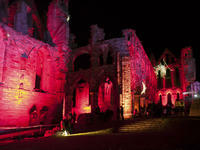 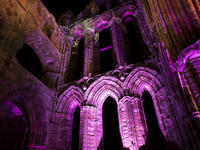 See Bram Stoker's inspiration in a new light as Whitby Abbey is bathed in dramatic illuminations. 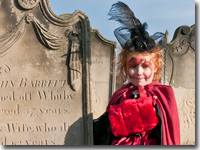 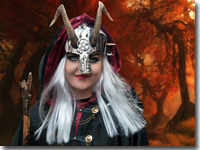 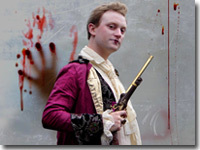 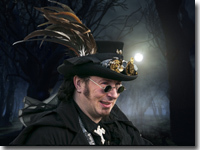 As you explore its gothic splendour, our costumed characters will introduce the darker side of the past with tales of grave robbing and witch trials. 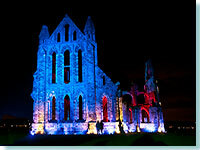 Wrap up warm, pack your camera and take a wander around the glowing ruins from 6pm - 8.30pm, with costumed performances throughout, and a Dracula performance at 8.30pm. 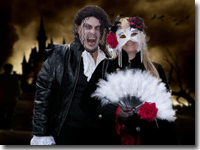 Halloween fancy dress encouraged! 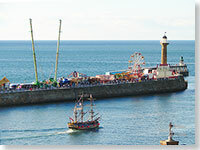 A full weekend of entertainment, embracing yacht racing, rowing races and various free forms of entertainment, finishing with a fair right along the harbour and out along the jetty. 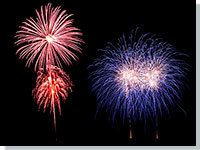 The final day (monday) ends with an impressive fireworks display. 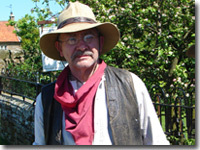 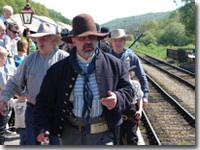 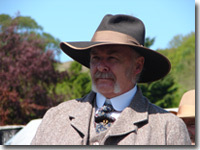 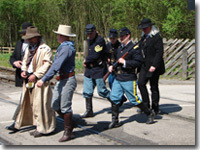 A couple of years ago, for the first time, the Lonestar staged a Wild West re-enactment at Levisham station for two days over the May Bank Holiday weekend. 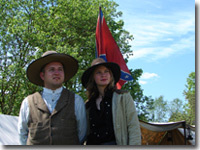 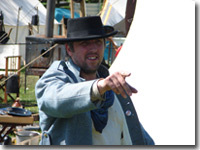 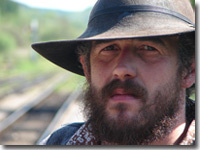 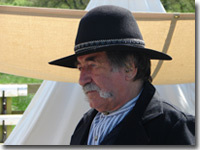 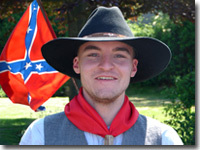 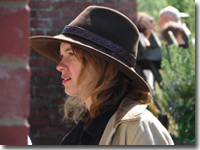 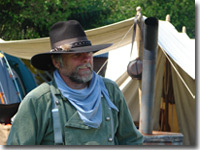 The group is one of the largest in the country, and re live the Old West by camping out under canvas and wood, and performing historical and fictional events of the wild west. 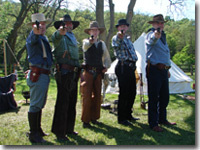 Outlaws rob trains, cowhands fight cattle rustlers, and then stage one of the most famous shoot outs down at the OK corale. 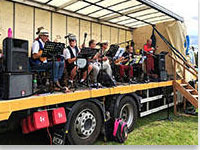 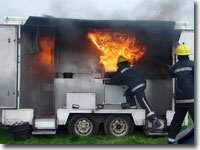 The group is entirely non-profit making, but raise money by donations for local charities. 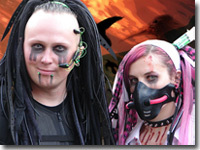 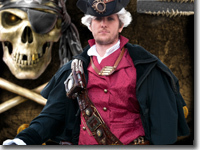 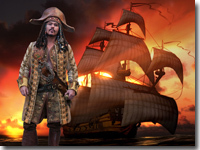 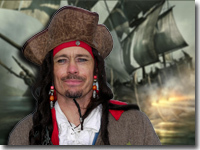 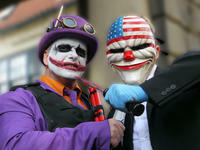 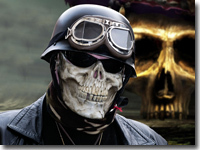 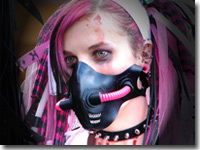 The group aim for authenticity, and most of their clothes, weapons and props are imported from the USA. 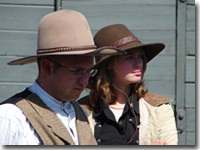 Unfortunately there are no dates for another Wild West re-enactment. 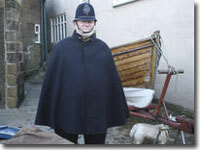 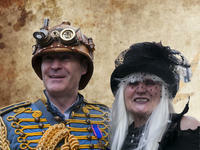 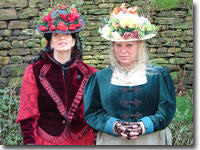 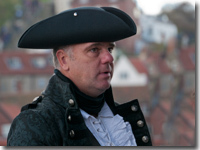 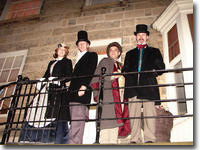 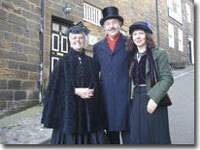 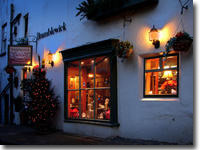 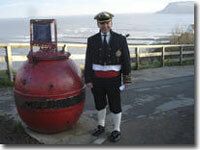 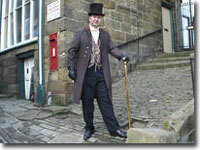 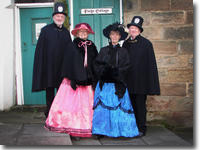 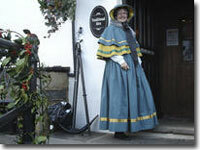 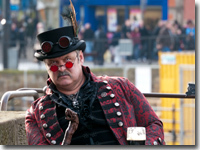 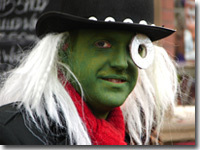 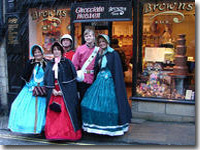 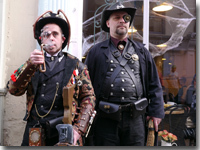 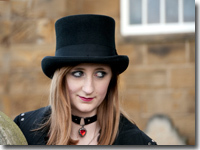 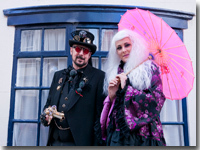 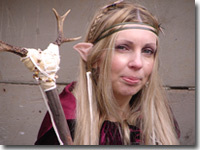 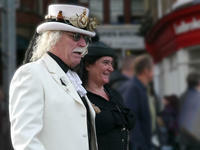 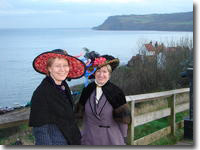 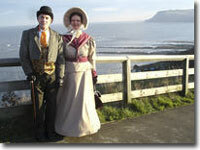 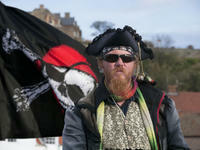 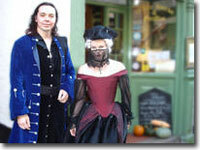 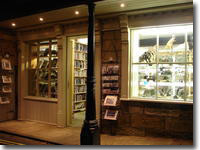 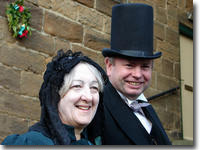 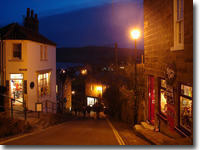 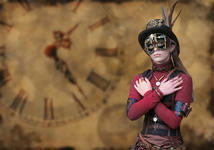 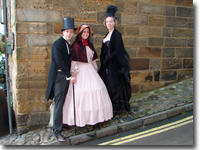 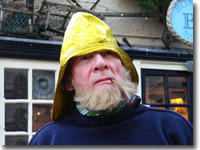 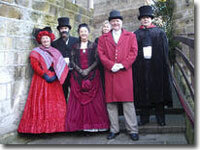 The first weekend in December is when Robin Hoods Bay holds its Victorian weekend. 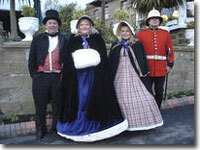 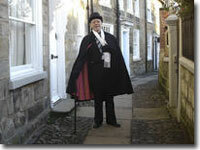 Queen Victoria and her escorts start the proceedings, and visiting Town Criers inform you of the events. 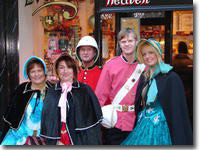 There are street entertainers such as a Punch and Judy stall, uni-cyclist, and even a Santa Clause in his grotto at the Bay Hotel. 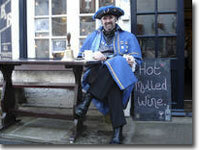 For the adults, there is mead tasting, hot chestnuts, mulled wine and mince pies. 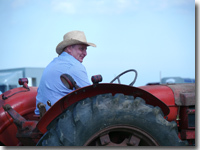 The Baytown Bobby will guide you through his "Old Bay Beat," taking you along the narrow lanes, and recounting stories from his beat in years gone by. 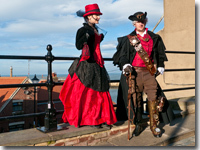 Art / craft exhibitions, concerts, competitions and a duck race, together with all the Victorian costumes, make this a memorable weekend. 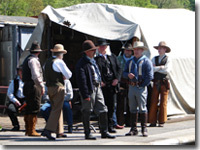 For a full 2019 Events Calendar, click here!